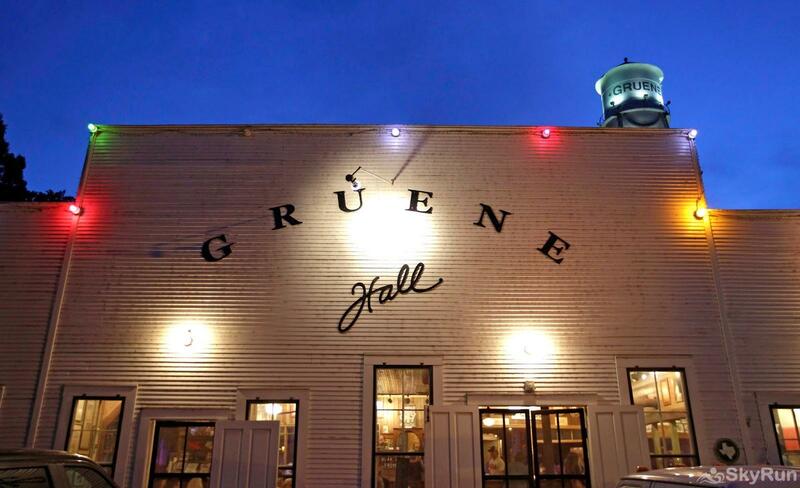 Texas' Oldest Dance Hall, Y'all! Comfortable furnishings along with cool breezes and excellent lake views from the living areas, master bedroom, and deck. It takes a couple minutes to walk down to the lake, but it's worth the walk once you get there! PLEASE INQUIRE ABOUT PRICING FOR MONTHLY AND LONG TERM LEASES! Blue Sky Haven is poised and ready to host your next peaceful getaway to Canyon Lake, one of the most scenic areas of the breathtaking Texas Hill Country. As you enter the home, you'll be impressed with the fun Hill Country decor, modern and comfortable furnishings, and a lake view worth sticking around for. The kitchen, dining, living, and master suite areas of this home are upstairs to make the most of the sweeping scenery. Make use of the fully equipped kitchen to prepare a tasty getaway meal, and enjoy from the dining area or on the spacious deck while enjoying the cool breezes off the lake. Blue Sky's raised deck is thoughtfully situated to make the most of mid-day shade and stunning evening sunsets. Hint: Bring your camera! The master bedroom hosts a cozy king size bed and attached bath with a large, tiled, walk- in shower. Downstair you'll find two additional bedrooms, a full bath with shower/tub combo, and a handy laundry room if needed to keep your swim gear gear ready for the next adventure. You must be 25 years or older to rent this property. Maximum occupancy at all times for this home is 6 guests and 2 vehicles, unless otherwise approved. We manage serval nearby rental properties, so please let us know if we can help with anything. Come and have a good time, but be aware that behavior that is disrespectful or disruptive will result in forfeiting the remainder of your stay. We offer a 5% discount for military, law enforcement, fire/EMS, and airline employees! No smoking or pets are allowed on the property. Book your Canyon Lake Vacation with SkyRun Vacation Rentals today!